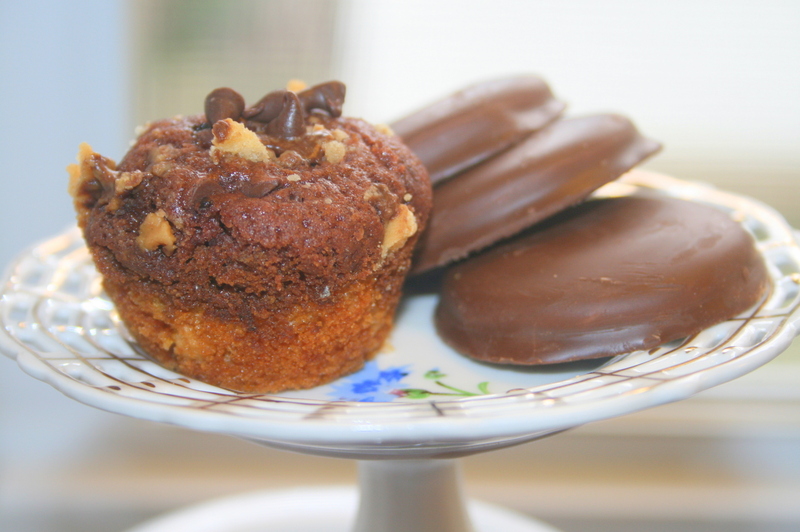 Girl Scout Tagalongs create the perfect chocolate peanut butter twist in this Girl Scout Tagalong Amish Friendship Bread recipe. Want more cookie crunch? Stir in 1 cup of crushed Taglongs into the vanilla batter. 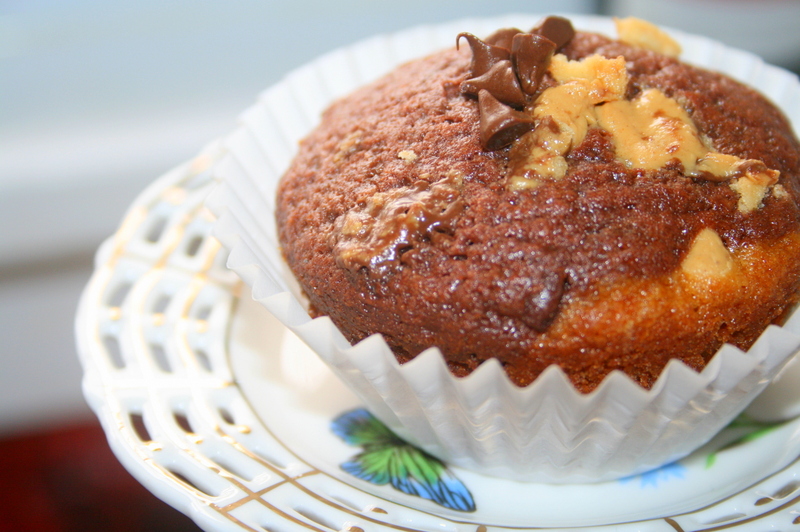 Top muffins straight out of the oven with mini chocolate chips or peanut butter chips. In a large mixing bowl, add ingredients as listed up to the flour. Pour half the mixed batter into another bowl. To one bowl, add chocolate pudding, coffee and chocolate chips. To the other bowl, add peanut butter and vanilla pudding. Pour the vanilla batter evenly into loaf pans. Evenly pour peanut butter chips on top of the batter. Pour chocolate batter evenly on top and sprinkle the remaining sugar-cocoa mixture and crushed Tagalongs.